We were thrilled to have been selected by AJF Partnership to creatively lead and develop the content for this, and an additional series of spots, for their client Target. Shaping the live action shoot and edit with our comprehensive pre-vis, Cadre were intrinsic at every stage of the process. 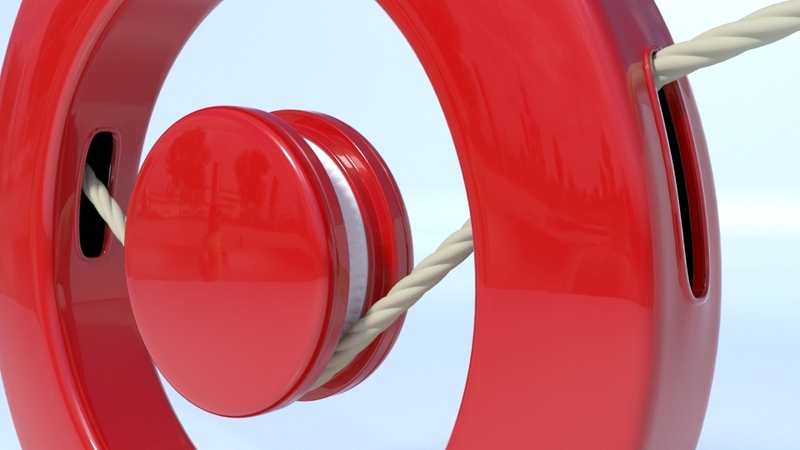 And with the Cadre crew having a long history of involvement with Target, it was exciting to have the opportunity to bring our CGI design and streamlined workflow into play. Head over to the THE TARGET COLLECTION to see our other collaborative efforts with the AJF team. Early pre-viz comprised a leafy jungle. The Target rondel re-purposed into a flying fox. 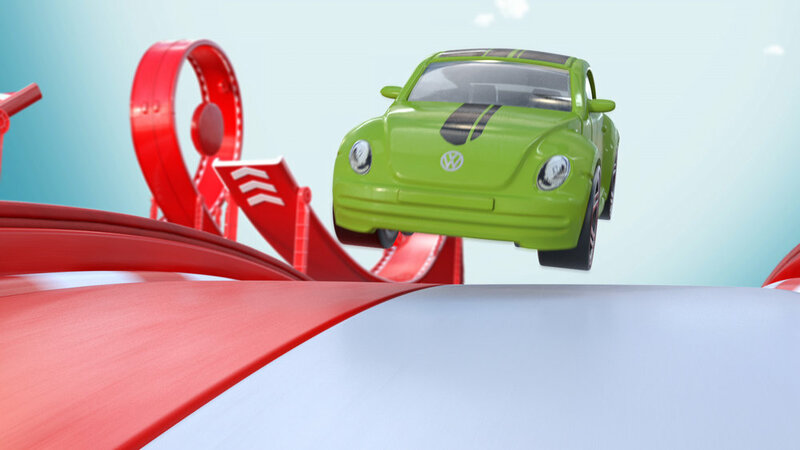 CGI turntable render of the featured Hot Wheels VW Beetle. Frame from the finished ad of the CGI Hot Wheels car in flight. Development of the paper dino. CGI paper dino taking shape. Texture/surfacing progressing as this lighting test shows. 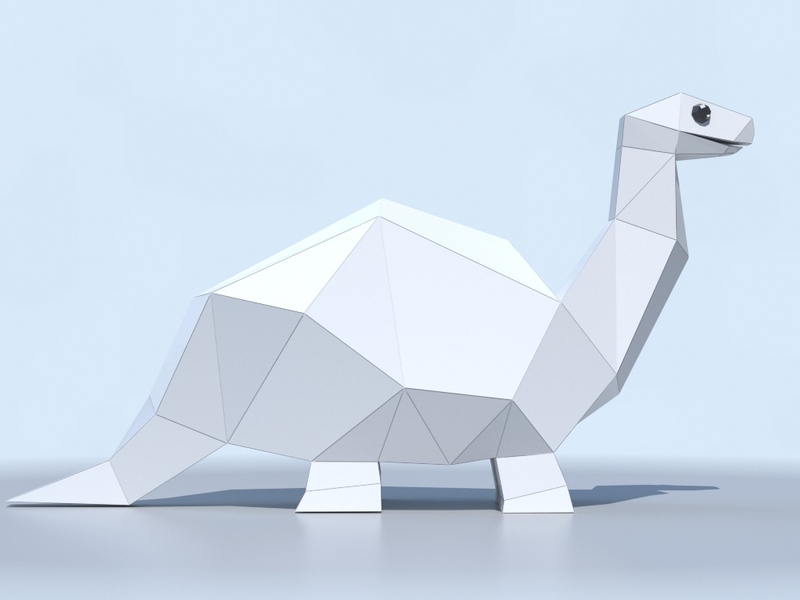 Paper dino as he appears in the commercial. 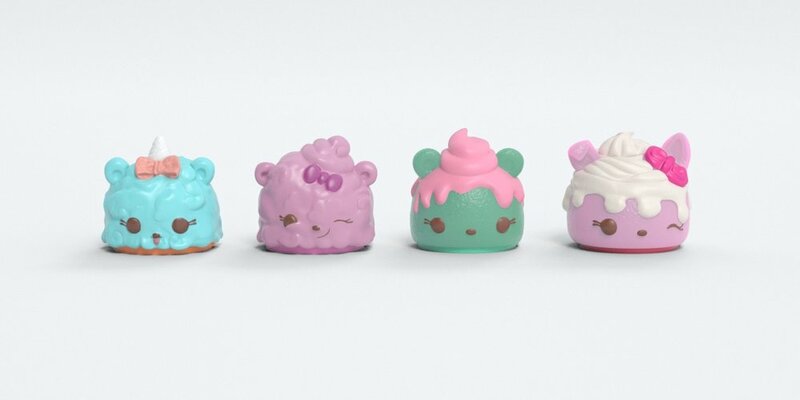 CGI renders of the top half of the featured Num Noms. 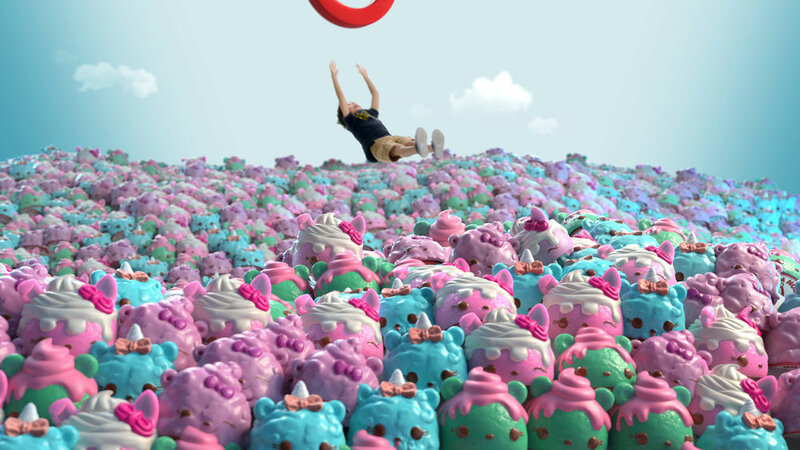 A child's dream - a sea of Num Noms, albeit CGI ones. And what it would look like if you could jump into the sea with them.